Join us and our friends from WBOC's Delmarva Life as we broadcast our Traditional Ethiopian Coffee Ceremony live and share coffee the way that it was always intended. 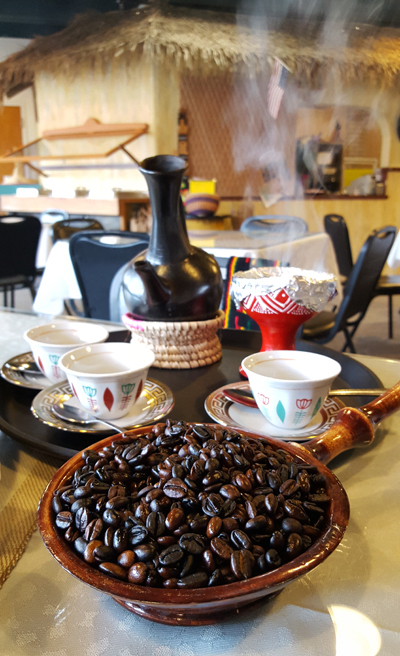 Join us in person or online as we illustrate the centuries old Ethiopian tradition of open roasting green Ethiopian coffee beans to perfection, ground while hot, and then steeped in a seasoned clay coffeepot to produce the perfect demitasse of coffee goodness. This experience is Free to the Public. We welcome you to learn about a level of coffee culture unlike any other.